STATION BAR Called in to see what new beers might be on tap. 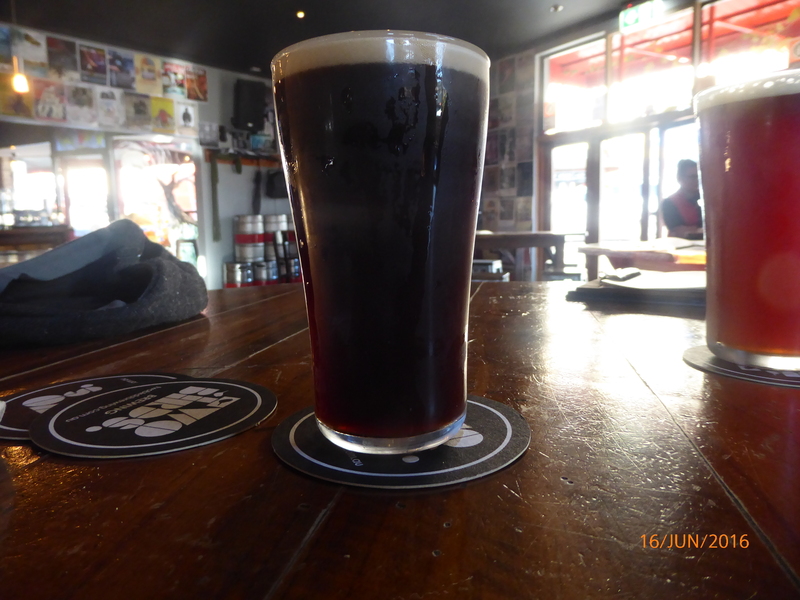 Had a couple or three AKASHA FROM THE SHADOWS ENGLISH PORTER 5.5% A nice and very easy to drink porter which I thought that had a slightly creamy mouthfeel,and which finished of a bit dry. Being an Akasha beer I expected it to be heavily hopped but I don’t think that it is. The other beers where A MODUS OPERANDI FORMER TENANT RED ALE 7.8% (American Amber/Red) and a PIRATE LIFE THROWBACK IPA 3.5% (Session/Indian Session Ale) , The Former Tenant had a big grapefruit nose with a far hit of hop and bitterness while the Throwback was a much more restrained beer and was an easier to drink beer though the Former Tenant was more of a challenge. 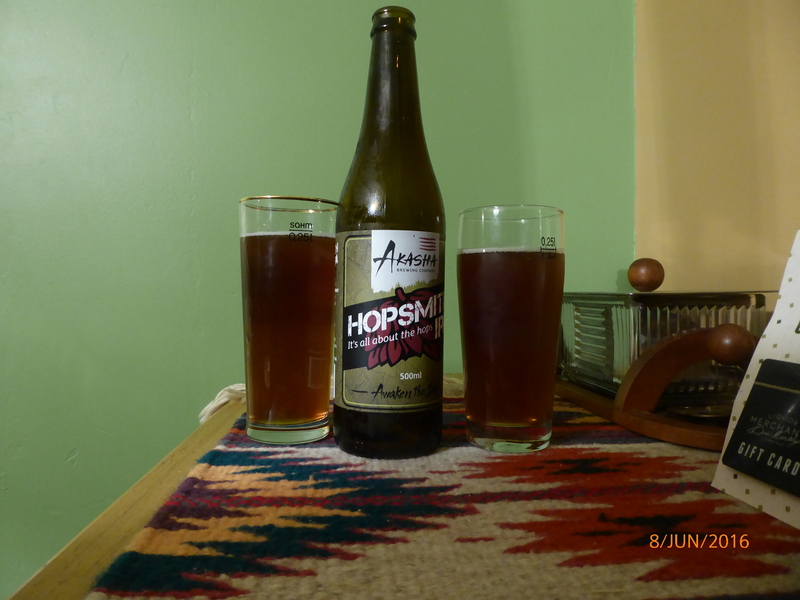 AT HOME We bought a bottle of the HOP SMITH IPA from the AKASHA brewery when we where there the other week so I would expect it to be fresh, Maybe that is why I found it much less hoppy than I casually find IPA’s making this a lot more acceptable to my tastes. The beer pored with very little carbonation and had not much of a head to talk about. 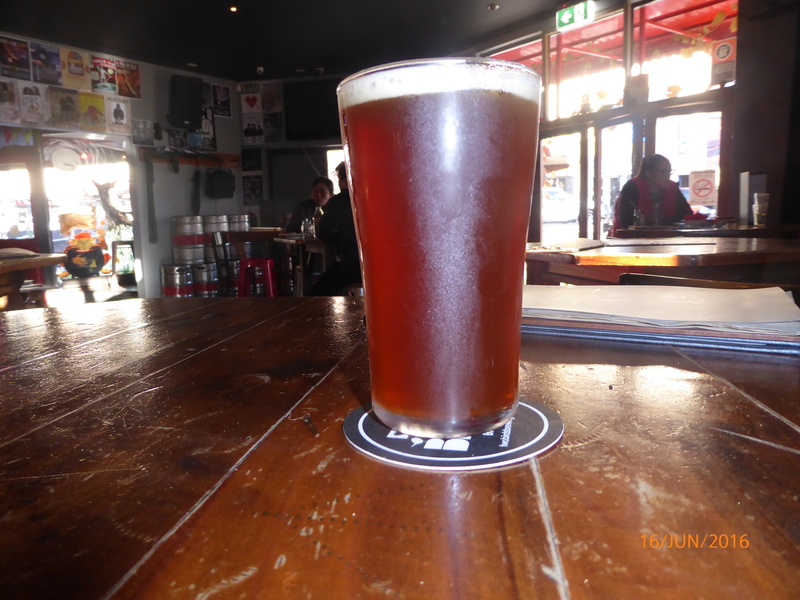 The other beer had at home was a KILKENNY CREAM ALE bought on a whim when i had been sent up to the local bottle shop for a bottle of wine. While a nice beer I don’t think it is anywhere near as good as an on ta[ Kilkenny. It seems Kilkenny is made by Guinness – what is strange though is that there is no mention of Kilkenny on the Guinness site nor is there a Twitter site for either.